Recently, the state of New Jersey became the fifth overall to institute a minimum wage of $15 per hour, joining California, Massachusetts, New York and the District of Columbia. Now, it appears the Land of Lincoln could soon follow suit, with lawmakers ramping up to put their own version of such a bill to a vote in the near future thanks to widespread support both in the legislature and among the general public. A bill to raise the Illinois minimum wage to $15 over the next several years - from the current minimum of just $8.25 - was the first piece of legislation introduced to the new legislative session in the state Senate, according to a report from the Southern Illinoisan. The bill was first heard by the Senate Labor Committee at the end of January, which heard a proposed increase of $1 per year through 2024, and then a 75-cent increase at the start of 2025. As is often the case in these types of discussions, business interests aligned at the hearing to express their displeasure for such an increase, but lawmakers said that any changes those organizations wanted to make would need to be suggested in the near future, the report said. That's because newly elected Gov. J.B. Pritzker has expressed a desire to get the bill passed through both houses of the legislature and signed into law before he makes an address on the state budget in late February. Senate Majority Leader Kimberly Lightford, a Democrat representing Maywood, said that she wants the bill introduced to the Senate writ large in early February at the latest, according to Capitol News Illinois. She has been trying to pass minimum wage increases - though only to $10 per hour - since 2010, but while all those bills passed the legislature, they were vetoed by now-former Gov. Bruce Rauner. At the Labor Committee hearing, a worker's advocate noted to lawmakers that currently 41 percent of all workers in Illinois make less than $15 per hour, and more of them are middle-aged than under 25, highlighting just how important an increase would be, the report said. In addition, more than half of those who make less than $15 per hour work full time. 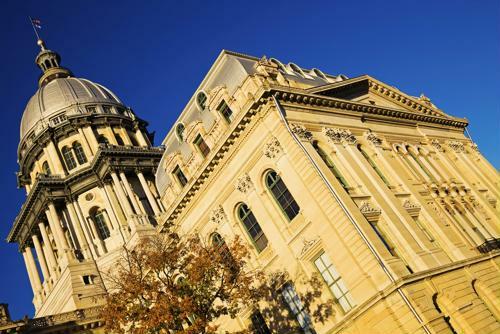 "Folks who make less than $15 per hour cover the gamut of workers in this state, and raising their wage would have a tremendous impact on millions of workers in Illinois," Greg Kelly of the Service Employees International Union told the lawmakers. This comes as 18 states introduced at least some increase to their minimum wages - often through adjustments for the cost of living - at the start of 2019, according to a separate Capitol News Illinois report. In all of the states where a $15 minimum wage has been introduced, but not yet reached that level of pay, economies and job numbers have improved, despite warnings from business interests. With these changes in mind, companies in Illinois and elsewhere would be wise to get out in front of this trend of higher pay, boosting salaries - and benefits offerings - to attract and retain talent.